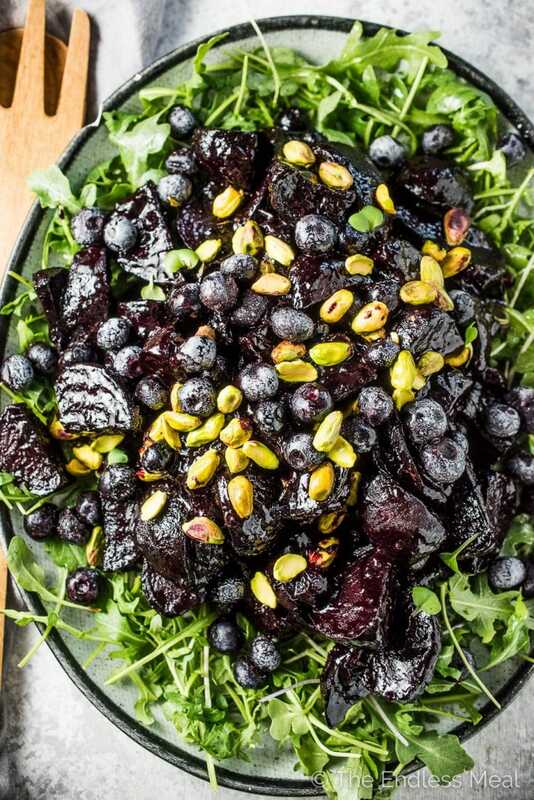 These insanely delicious Blueberry Balsamic Glazed Beets are a must for your Thanksgiving or Christmas table. Or heck, all winter long. 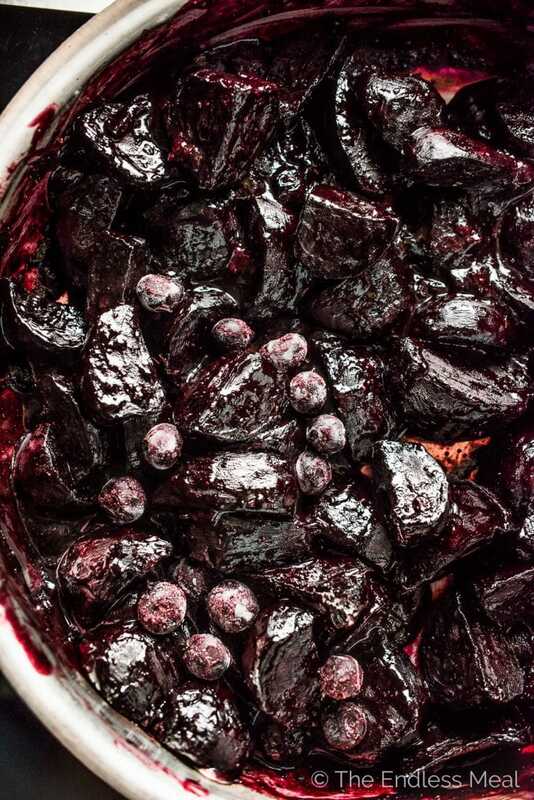 The beets are roasted then coated with a sugar-free, sticky glaze made with frozen blueberries and balsamic vinegar. 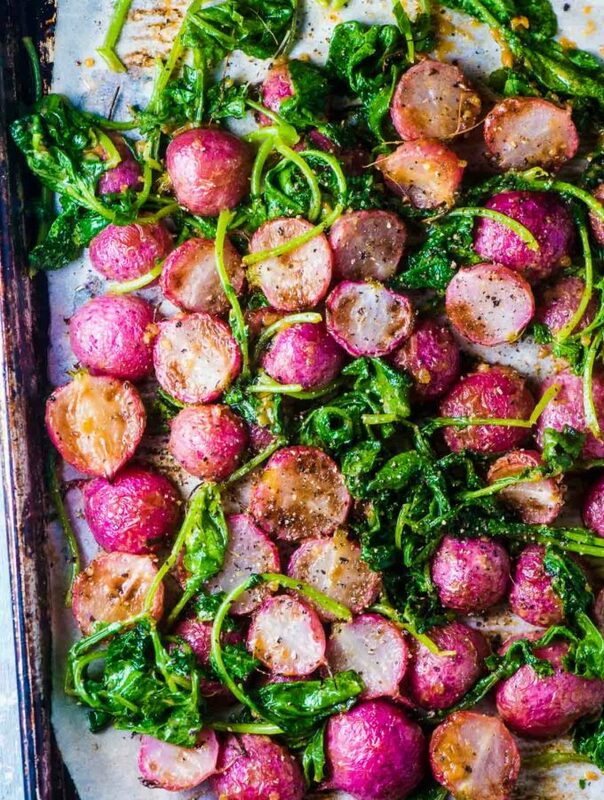 This healthy side dish recipe is also gluten-free + paleo + Whole30 compliant! Once you try these guys, I know you'll be just as crazy about them as I am. The beets are perfectly roasted then coated with a deliciously sticky glaze that's super easy to make. The glaze is made with my favorite trick for keeping a hint of summer all year long: frozen BC blueberries. When those delicious plump blueberries are simmered with some balsamic vinegar and thyme, they become this sweet, syrupy glaze that is tasty enough to eat by the spoonful. I originally made this recipe for when I was on The Whole30 Program. There's no sugar (of any kind) allowed, and I was really missing the sweet and sticky beets that I usually like to make. Enter frozen blueberries. They have enough natural sweetness to create that glaze I was craving and are super healthy for you. Win win! Behold that glaze in action. Did you see that up there? 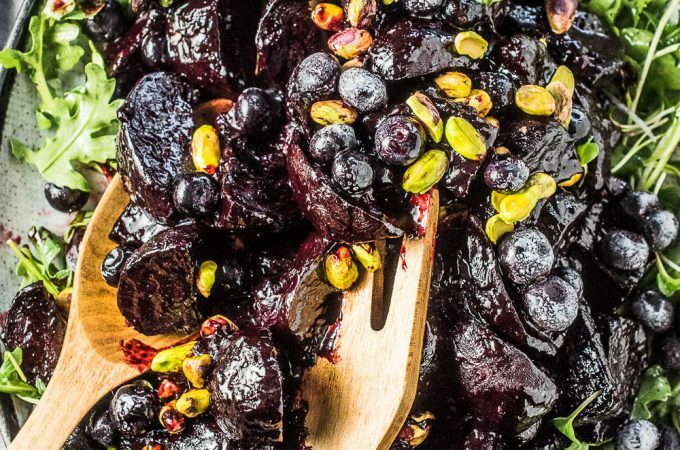 Oh man, it's making me want to run to my kitchen to make these blueberry balsamic glazed beets all over again. For the third time this week. ← It's true. What's great about that blueberry glaze (other than it being awesomely delicious) is that it is super easy to make with ingredients you probably have in your kitchen right now. ♡ Frozen blueberries – Tell me you have a bag in your freezer right now. They're a staple in our house. We always buy BC blueberries cause I love how big and juicy they are. Most of the time they end up in smoothies. Now that I've met these blueberry balsamic glazed beets, they'll be making an appearance at the dinner table far more often. ♡ Thyme – Have a look in my fridge and I guarantee you'll find 2 or three containers of fresh thyme, in various stages of drying. I can't seem to make it out of the grocery store without wondering if we have any thyme at home. (We always have thyme at home.) Tip: leave your herbs slightly open in the fridge and they'll slowly dry – rather than rot. Once they're totally dry, you can remove the leaves from the stems and keep them in your spice cabinet. Do you serve these balsamic glazed beets hot or cold? How's that for a non-answer? But it's true, these beets are delicious both hot out of the oven, or left to cool to room temperature. 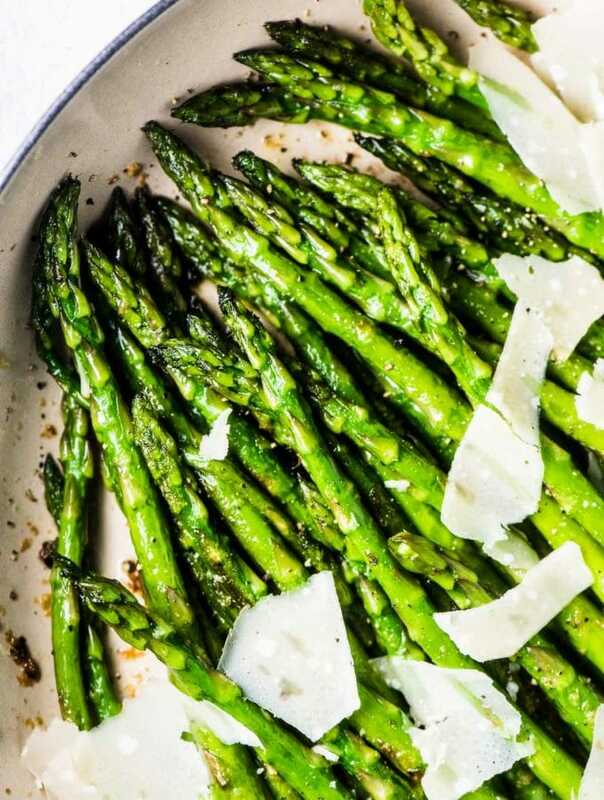 They're the ultimate entertaining side dish as there's no last-minute fiddling with this dish. If you're serving these for Thanksgiving, Christmas, or another big dinner, you can roast the beets 2-3 days ahead of time then warm them up on the stovetop in the glaze before serving them. Just add an extra splash of water to the pan so the glaze doesn't dry out. So easy! 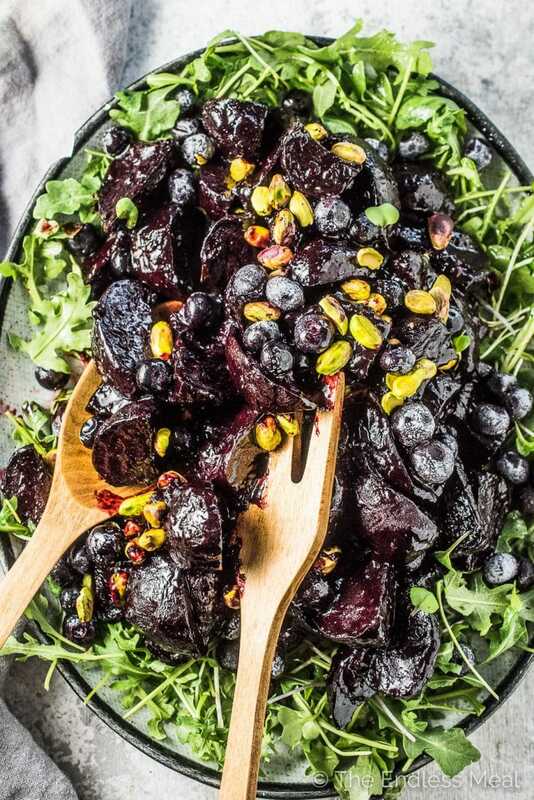 If you love these Balsamic Blueberry Glazed Beets as much as I do, don't forget to give them a 5-star rating in the comments below! Preheat your oven to 420 degrees. Line a baking sheet with parchment paper. Place the beets on the baking sheet, drizzle with the oil, and sprinkle with the salt and pepper. Roast in the oven until tender, about 45 mins, turning halfway. While the beets are roasting, make the blueberry glaze. Place the blueberries, balsamic, thyme, salt and pepper in a large frying pan over medium-high heat. Bring to pan to a boil and continue to boil rapidly until the blueberries break down and the glaze thickens, about 5 minutes. When the beets are cooked, add them to the pan with the glaze. If the glaze begins to look dry, add a splash of water. Stir the beets to coat them in the glaze. I made this for Christmas dinner and it was a hit! I put the mixture on the bed of arugula when it was warm and it lilted the greens perfectly by the time we arrived at our parents house. I used a few golden beets for some color. I added some turbanado sugar to the balsamic. I also topped the salad off with some honey goat cheese. I highly recommend adding the goat cheese! This is an excellent dish! Thank you! Goat cheese sounds like a delicious addition!! I hope you weren’t on a first date when you ate this! Beets and blueberries are definitely potent! Hi! I’m hoping to make this recipe sometime next week. Is there a particular meat that you think would go well in this salad? These beets are delicious! I used fresh blueberries and they worked perfect. Thank you! Great ? find wheat @ dairy free lm not good with this pain so looking forward to this thank you ?? WOW! This is a truly gorgeous looking salad! It would make a great addition to a holiday table! I am Ukrainian and we eat A LOT of beets, and now I know another way to enjoy them. Thanks a lot! Saving the recipe to my MUST TRY Pinterest board! Thank you so much! Beets and blueberries really are amazing together. I hope you like them as much as I do! 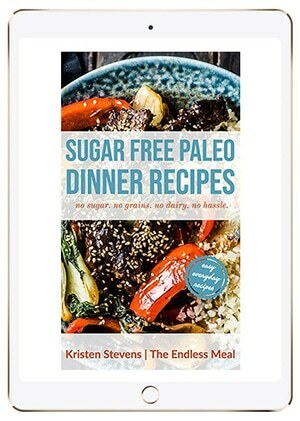 Wow, Kristen, this is just the kind of dish I love to make. Any time I can add blueberries to the menu, I’m all over it. And from BC? I’m in! Beautifully creative. Sharing!